It’s not far from landlocked Hertfordshire, where I live, to coastal Norfolk, where I was brought up, but the contrast is great. If I’m looking for an uncomplicated value-for-money (mostly) getaway, Norfolk is where it’s at. Like any business traveller, I have over time gathered a collection of boltholes, places to go whenever time and finance permit when I need to unwind or just fancy a change of scene. Some are exotic, like the Seychelles (but see above about finance). Some are unexpected, like the Botanic Gardens in Singapore. I am deeply fond of Sanibel and Captiva islands in Florida. But for an unfussy escape, I head for East Anglia. They say people from Norfolk are the way they are because they grow up in a constant east wind. It starts in Russia and just heads straight for you, with nothing in the way to stop it. If and when the wind lessens, it rains. Such is the myth. It can be windy, true, but I have been known to spend New Year’s Day walking the beach in full sunshine at Wells-next-the-Sea, and there are many similar anecdotes. And for the record, and slightly unbelievably, Norfolk is the driest county in the UK. The wind story works the other way round too. If there’s nothing in the way of this particular version of the mistral, there is equally no obstruction to the view looking towards the east. 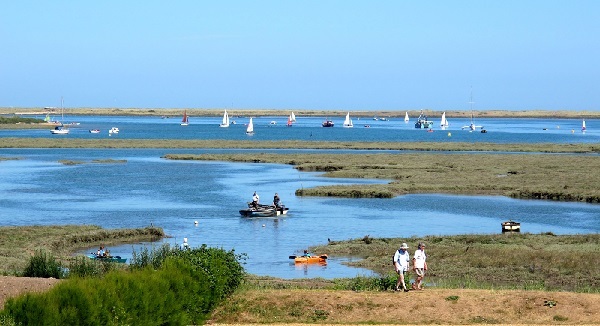 Along Norfolk's northernmost shore, at Brancaster, the seemingly endless marshlands and beaches provide an escape from the everyday world that’s hard to beat only a 4hr drive from home. It was this thought that led me to Brancaster for my latest trip. I am far from the only visitor to be taken by the view, but in the case of an earlier enthusiast, one Cliff Nye, it led to the beginnings of what is rapidly becoming a hospitality empire called Anglian Country Inns (ACI). As Nye tells it, this part of north Norfolk is where he “misspent" his summer holidays as a child. The company website relates how he fell in love with the coast and was blown away by the views out of the back of an old pub on the edge of the marshes. He felt more should be done to do the view justice. So he bought the pub. The rundown old building was given a major makeover and is now The White Horse, Brancaster Staithe (a staithe in these parts is a landing stage for loading or unloading boats). ACI calls the property a “coastal inn” and it is a three-time winner of the Good Hotel Guide’s Seaside Hotel of the Year and Editor's Choice award. Norfolk is no longer exactly undiscovered but here on the far northern edge it is relatively unbusy, especially in winter, which is cold (and windy) but quite dramatic. I have been there at all times of the year and the scenery as Cliff Nye found is enthralling at any time. The White Horse has developed into a hidey-hole of choice for many a visitor, boasting cosy rooms in the main building, a collection of comfortable cottage suites in a courtyard to one side, a noted restaurant and trademark ACI cheerful and efficient service. It is also a perfect base from which to explore an area embracing unspoilt beaches, seaside villages, stately homes, including Sandringham, and a lot of open rolling countryside. Highlights include a clutch of family friendly beach mini-resorts like Wells, Hunstanton, Sheringham, Mundesley and West Runton. The small community of Cley (pronounced Cly for no apparent reason) has a windmill, a fish smokehouse, a pottery and a favourite deli, Picnic Fayre, housed in the former blacksmith’s shop; Burnham Thorpe is where Nelson was born, and there is a popular nature reserve at Pensthorpe Natural Park. Other wildlife refuges dot the area, which is also part of the 62.5mi (100.5km) Norfolk Coast Path running from Hunstanton to Sea Palling. Cley (or Cly) is a useful reminder of some linguistic tricks it’s useful to know about. The occasionally-impenetrable Norfolk accent is well known; if you want to try it, close your mouth around the vowels and go from there. Place names can be tricky too. Mundesley is pronounced Munsley; the neighbouring coastal village of Happisburgh is Haisboro and Stiffkey a few miles away, where there was once a scandal involving a local vicar, is Stewkey. Another famous example on the southern fringe of Norfolk is Wymondham, known to all as Windham. Before leaving the White Horse, we dropped in on another ACI acquisition in the village, the Jolly Sailors pub. If you bemoan the passing of so many local inns, seek this out. Dating from the 18th century, it seems little changed and is obviously a local hotspot with jugs of real ales, fish and chips, pizza and more pub-type grub and all the bare beams a passing historian could wish for. Keeping everything in the family, the beer comes from the Brancaster Brewery, owned by (you’ve guessed) ACI. The company is expanding quickly from such beginnings. Also in Norfolk, it has the cosy and newly refurbished Kings Head at Letheringsett, just outside the small town of Holt. Dating from Georgian times, this hostelry has been updated with four boutique rooms and all-day food prepared to order using local ingredients sourced from the neighbouring farmers, fishermen and local traders. Bread is baked in the kitchen every day with spelt flour from Norfolk's only flour producing watermill, also in the village. 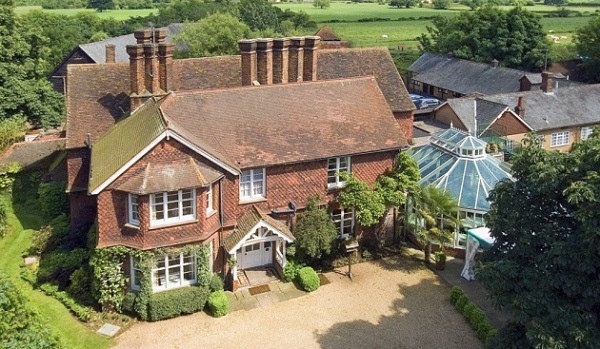 The rest of ACI’s portfolio so far is Hertfordshire-based and now also includes several properties of interest to business travellers, being within easy distance of Luton Airport and Heathrow and the Thameslink rail service from St Albans to Gatwick while still offering a rural retreat before or after a trip. Most recent is the Farmhouse at Redcoats in the hamlet of Redcoats Green between Hitchin and Stevenage, dating from the 15th century and with views across the rolling Hertfordshire countryside. It has four bedrooms in the main farmhouse and nine in the adjoining stable yard converted from the original stables and coach house. Another 15 country-style guestrooms are planned when renovation of a Grade II listed barn across the yard is finished next year. Details of ACI’s other interests are on the website.